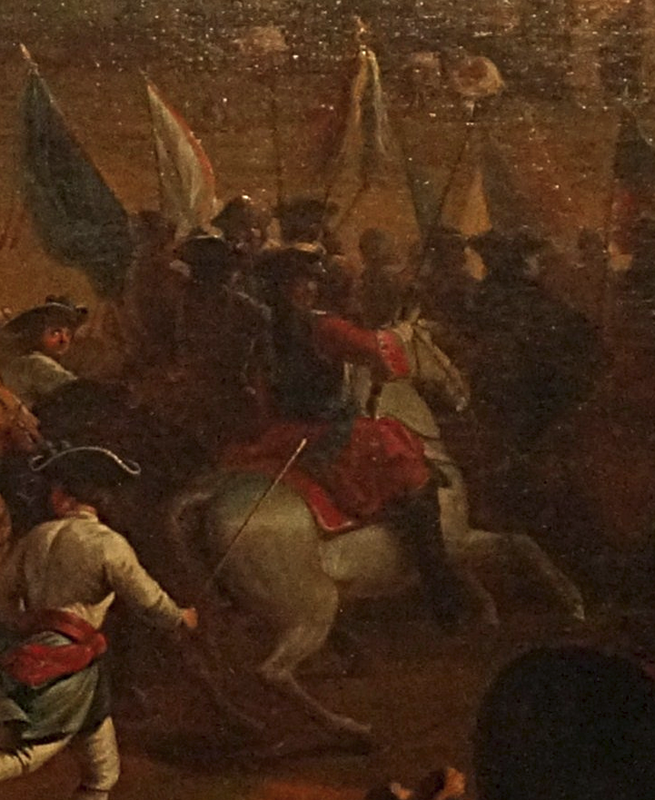 several days ago while showing the painting by maestro Gyula I wrote a little bit about the battle of Buda AD 1686 and its victorious general prince Charles V of Lorraine. 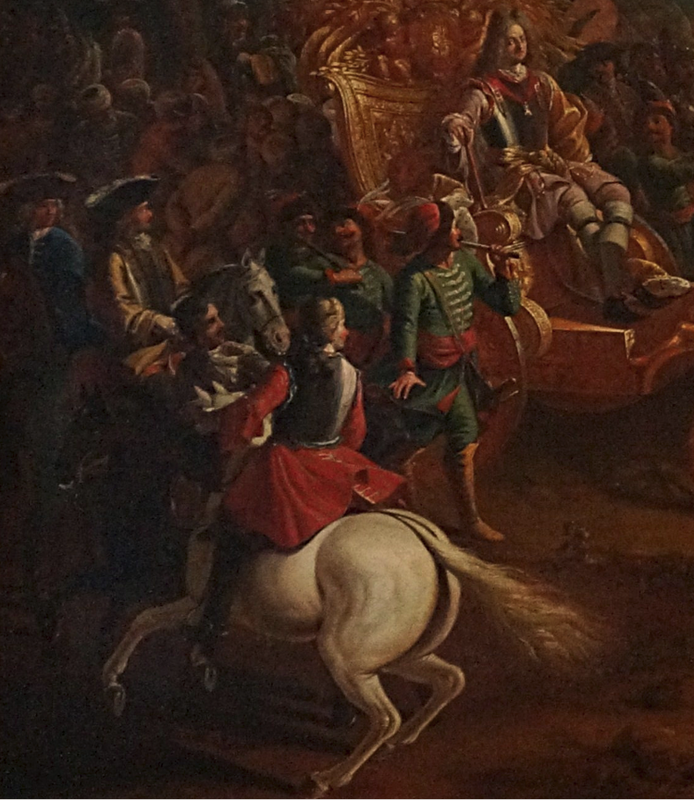 I attached a photo of a painting, now at the Nancy Museum in France, showing prince Charles' Buda triumph. 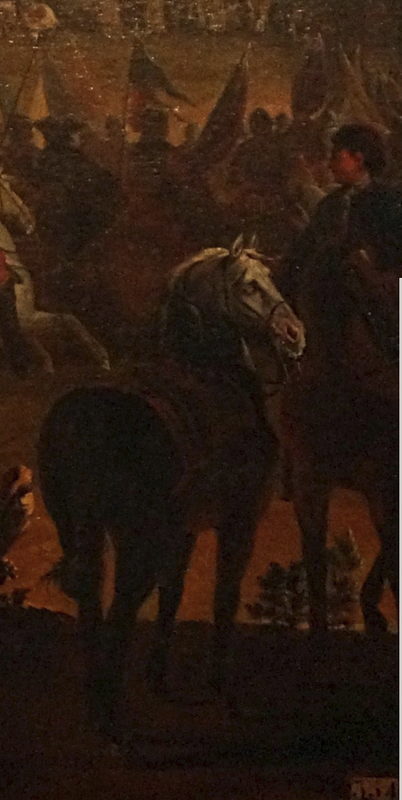 Well, I looked closer at the painting and there are some interesting horse-related matters that I would like to share with you. 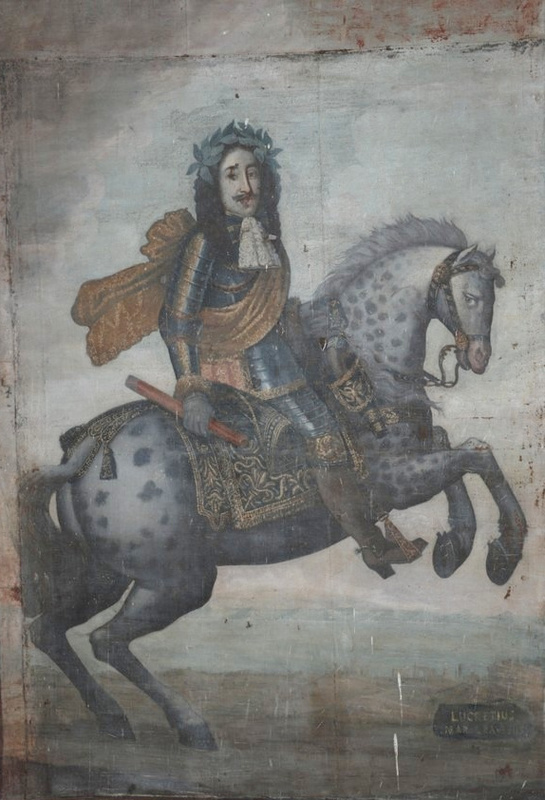 First, let me share with you a painting showing the Holy Roman Emperor Leopold I, the sovereign of prince Charles, armored, Roman Caesar-like on a fine dappled horse with some rather fine horsetack. 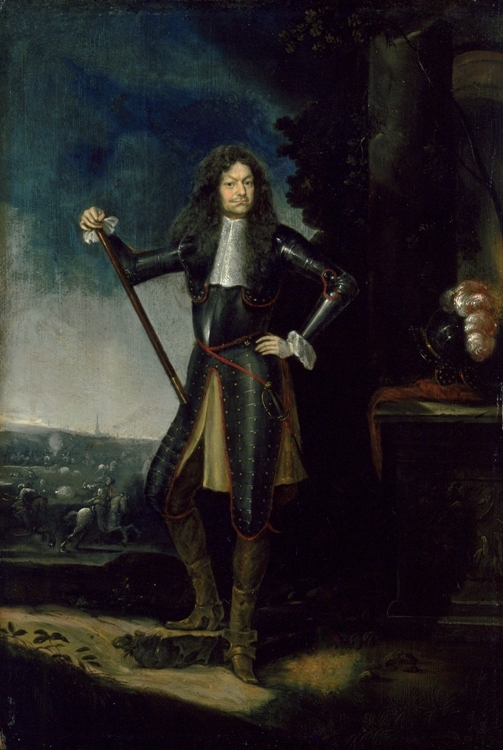 secondly, it is said that Charles was a disciple of Raimondo Montecuccoli, Hapsburg field marshal (victor at Saint Gotthard of 1664) and writer (here his quotes including the famous È la lancia la regina dell’ armi a cavallo ) - hence I found this very fine portrait of this man of arms and letters. the center is occupied by a chariot with a team of four horses - all buckskin in color, in a typical fashion used throughout the Polish Kingdom, perhaps also in the Hapsburg and Turkish Hungary, and Danubian Ottoman principalities, where pairs or larger teams as shown here were used, typically carriage horses of this color. 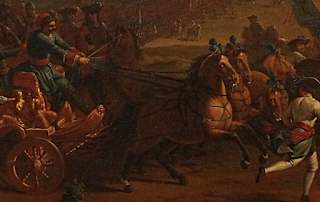 The driver is shown in a Hungarian or generally speaking East-Central European hat, but his coat has unusually large cuffs, typical of the Western European dress. 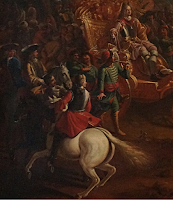 Here, in spite of low quality of this photo, we perhaps can decipher some detail - so I think we have the prince's own horse, held in the most ancient manner by a retainer also on horseback. Noble steed's tail is tied, denoting a warhorse of some standing? Horse appears to be of unusual color, perhaps an appaloosa? 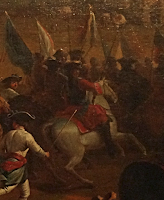 More military commanders, some in cuirasses (eventually the heavy line cavalry using breastplates would be called cuirassiers during the next century and later). The mounted horse in the front is in full collection, well rounded, with a splendid hindquarters and untied tail.